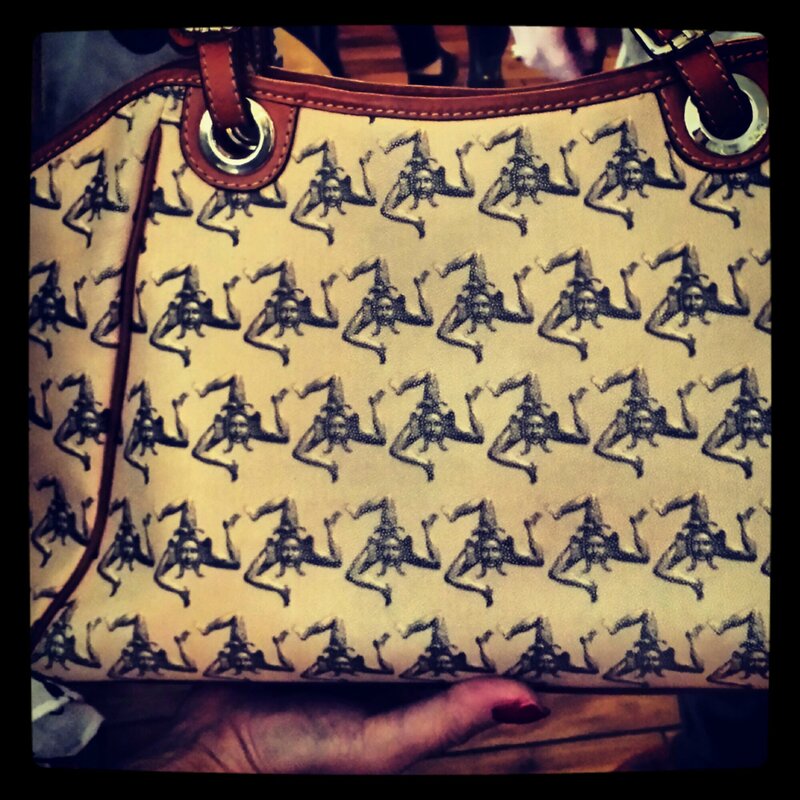 Sicily’s ancient Greek symbol, the Trinacria, shows up in many places, such as on this handbag of a woman I met yesterday. When on the island, it’s everywhere, including on Sicily’s flag. The three bent legs are attributed to the triangular shape of the island, which in Greek times was called Trinacria. Originally, at the center of the legs was the head of the Gorgon Medusa, a depiction you’ll still find today; however, equally prevalent, and what appears on the official flag of Sicily today, is the head of a woman that is donned with, instead of snakes, stalks of wheat, as a nod to Sicily’s fertile land and its history as the bread basket of the Roman Empire.